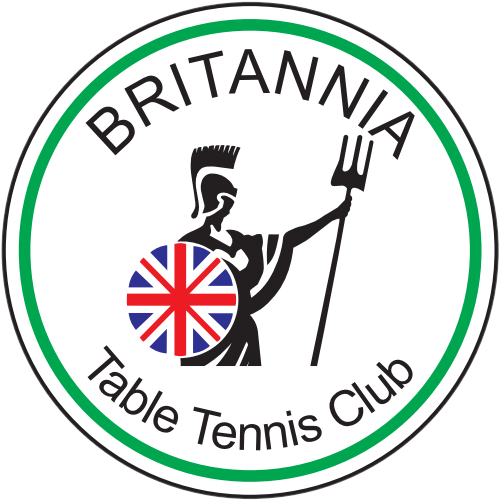 © 2018 Britannia Table Tennis Club. Closing date for entry to both events is Thurs 18th April, via Colin Watts (details on form or see at the Dome) or Aad for the Juniors. For various sensible reasons, Britannia have never needed generous, powerful and numerous sponsors so much. Any ideas whatsoever please contact Martin or Colin. We actually have a lot to offer, with the number of members and visitors to the Dome, and our fine website (you are reading it, several hundred others do every month). It has been a quieter season for Britannis teams in the league this season, with a few odd fixtures outstanding it looks as if the only movement up or down of any of them is the Petrels promotion up to Div 2. One other positive is that the Swifts won the Handicap Cup, beating a determined Pickwicks A side in efficient fashion. With the scores level into the second half of the fixture, Swifts trio of Sylvain, Martin and Kelly (with Tomasz watching) made their experience pay over the handicaps to win with a little to spare at the end. Attendances may have been down (particularly in the Junior sections) but competition was still fierce. 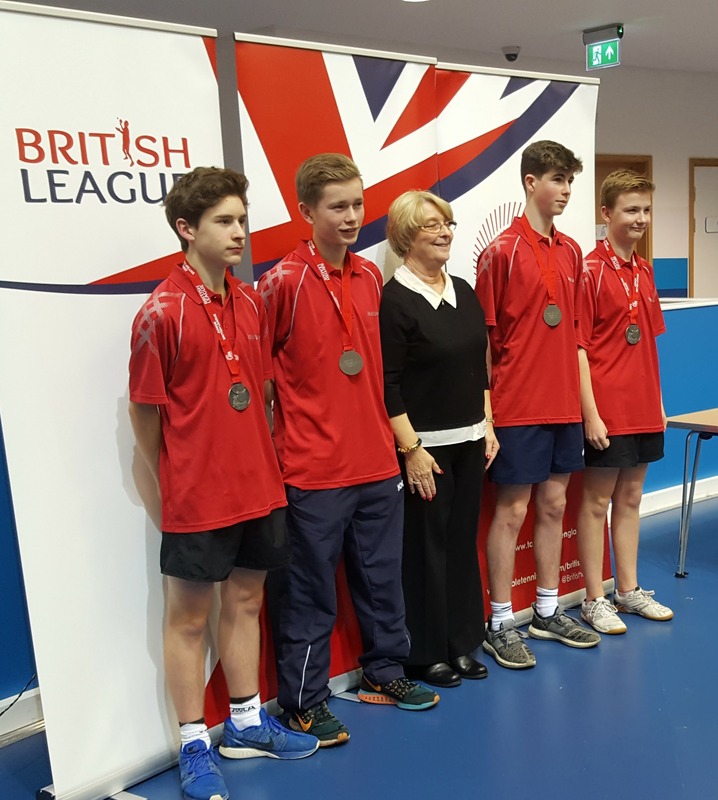 Credit went to several Britannia league players for fine performances, and bagging trophies, led by Henry Shaw, who murdered the Junior events and went on in much the same vein in the adult ones as well, taking some notable scalps and the performance award. Father Wayne Shaw picked up a doubles title as well. One player Henry failed to trouble was the enigmatic Sylvain Floury, who mopped up the Div 1 and Restricted titles. 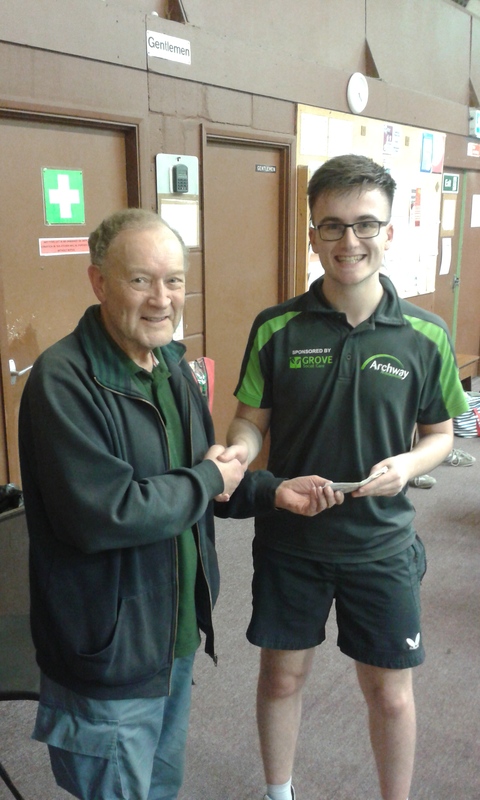 The Premier singles went to our own Sean Gridley, a popular winner. Some action shots of competitors are currently gracing the IDTTL home page, where full results are posted. We have bagged the Hundreds of Years Consultancy (Hoycon) as a sponsor for the whole of 2019. This is a network of experienced professionals whose knowledge crosses into many spheres. For a better description of what assistance they might offer you or your business, why not visit their website www.hundredsofyears.co.uk or contact them via hoyconsultancy@gmail.com. More details are on our Home page - you may also notice the new banner on display at the Dome. The club values any sponsorship and asks its members to actively consider supporting sponsors, so we keep them! A disappointing turnout for a short notice event still saw some hard competition on the day. 2 radically different league formats were voted on for the 2019/20 season, plus the option of not changing the current league format.. See Proposal 1 here, and Proposal 2 here. In the end, proposal 2 was narrowly defeated by "no change". Ipswich Borough Council have installed a table in the Giles Room at the Town Hall. Access is via the main entrance on Cornhill, opening hours are 10:00 to 16:00 weekdays. Anyone can pre-book an hour slot by calling 01473 432374. There is a £5 refundable deposit for anyone requiring loan of bat and balls. In addition, the Council have put new tables into Bourne Park and St Augustine's Rec, to add to the tables already in Christchurch Park. Not a bad return from the recent club / IDTTL event, when we took tables to IBC to raise awareness, well done to all concerned. 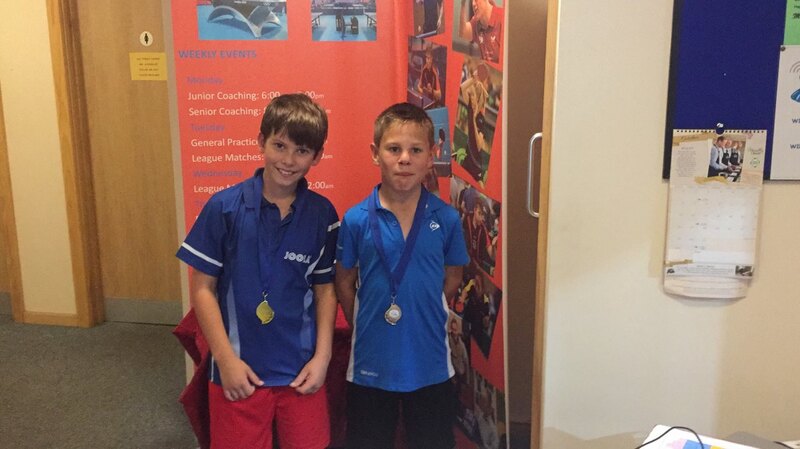 Over the weekend we had players competing in three different events. 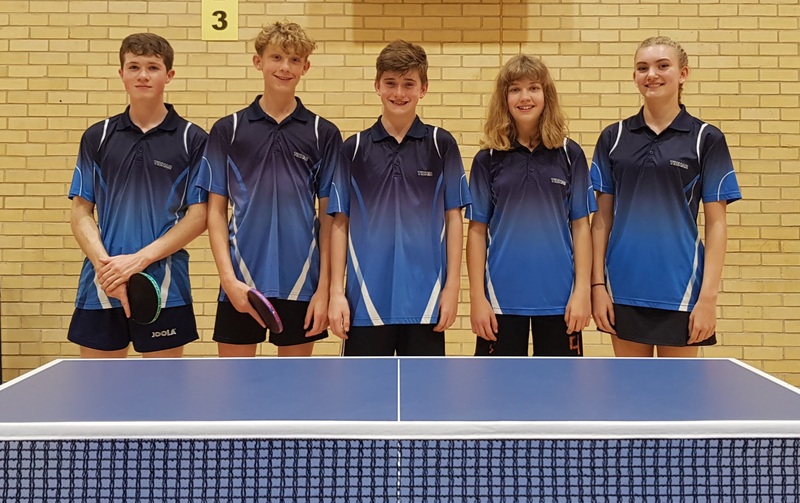 On Saturday we had Lucy N., Isobel, Luke, McKenzie and Henry representing Suffolk in the Cadets team. After a slow start with a loss to Middlesex I, the players stepped it up and had a draw against Essex and a win against Middlesex II. Matches were played at the venue of NETTS in Earls Colne, Essex. On Sunday there were seven Britannia players at the St Neots one-star. 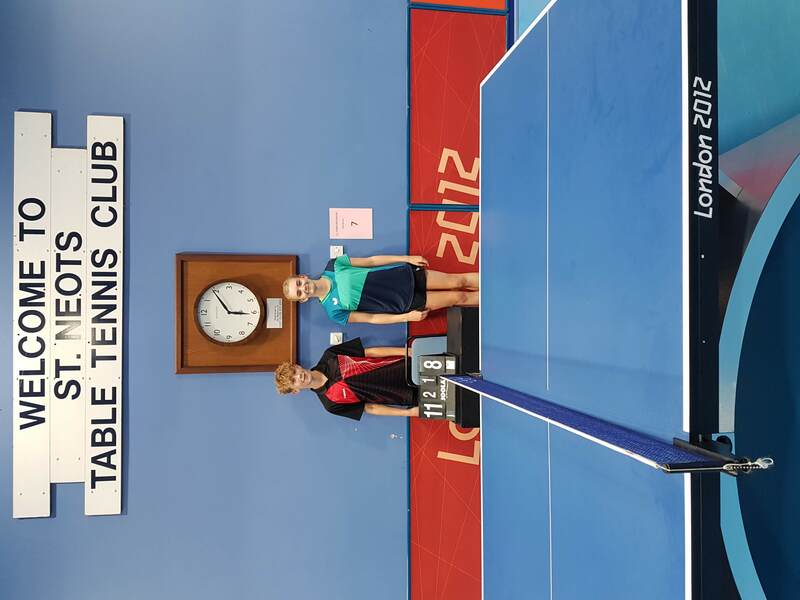 With McKenzie (winner Juniors, RU Cadets), Isobel (winner Cadet girls, RU Junior girls and RU Junior boys plate) and Tarun (RU U11’s plate) winning trophies, it turned out to be a very good day. No trophies but equally good performances from Alexander, Isaac, Joseph and Loïc. It was good to see the players supporting and coaching each other. 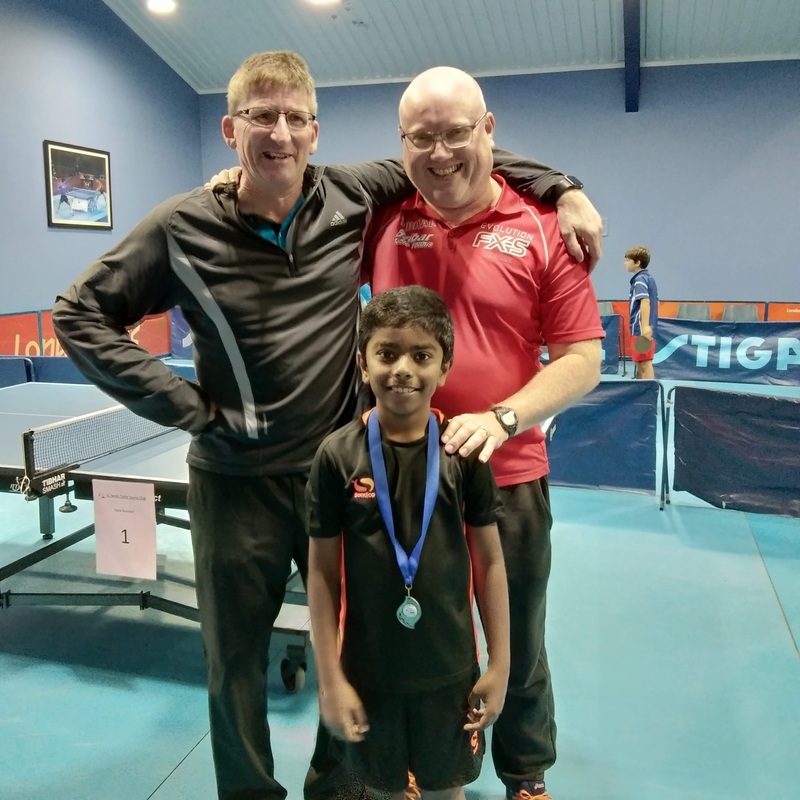 Unfortunately Sylvain had some car trouble on the way home, but Loic didn't mind, having nailed runner's up spot in the U13 plate. 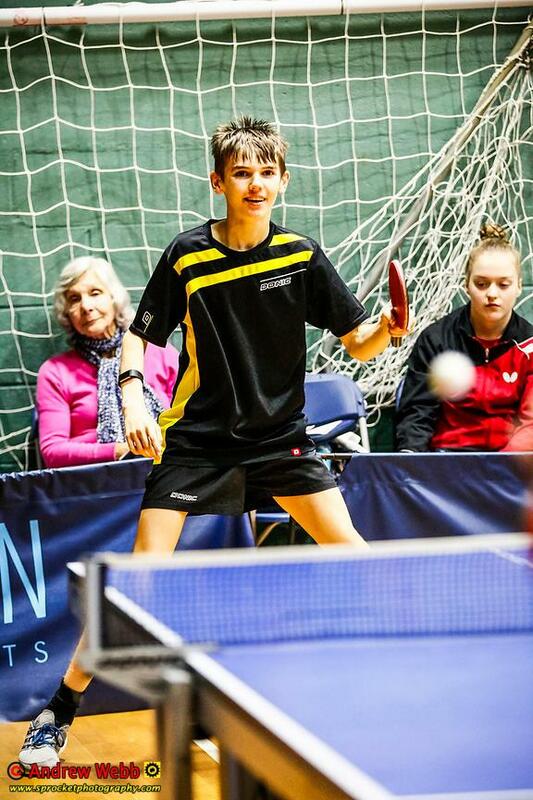 To finish it off James played in the Britannia Super Series event. He came third at the end of the day. 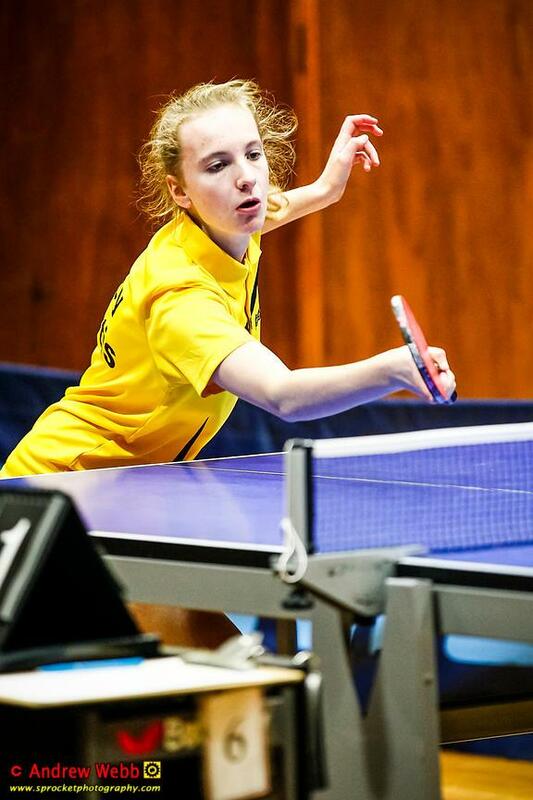 Two late withdrawals reduced the field to 10 players, but a lively tournament ensued, including 4 of the county's top juniors. Click here for report. A tremendously hard fought final between Ducking Ping Pong and Gladiators saw Ducking prevail 6-3, but several games were desperately close. 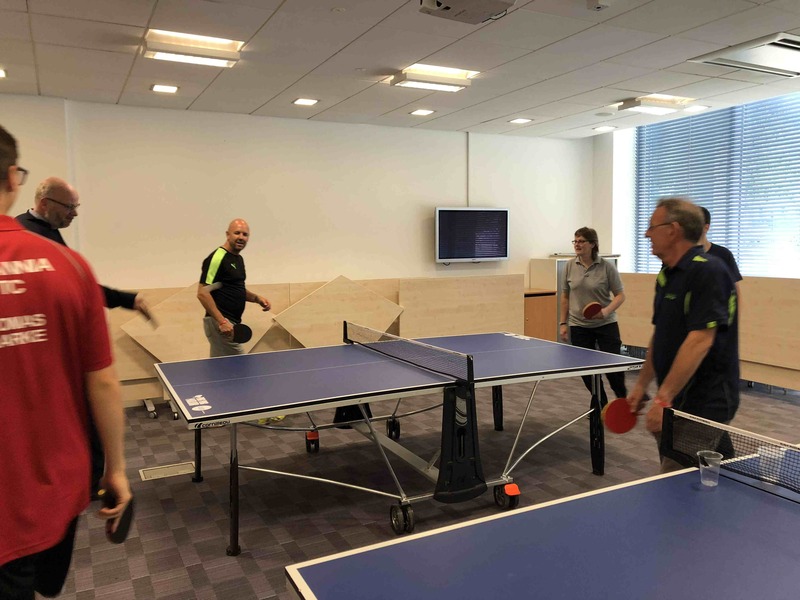 For everyone else, it was holiday table tennis, but good fun. Thanks to Sean for taking over the reins this year, and well done to all finalists. The day went ahead as planned, tables being taken to IBC HQ at Grafton House. Report is here, with pics Teenagers, Table Crew, Chief Exec, Round the Table, IBC Staff and Chuks. 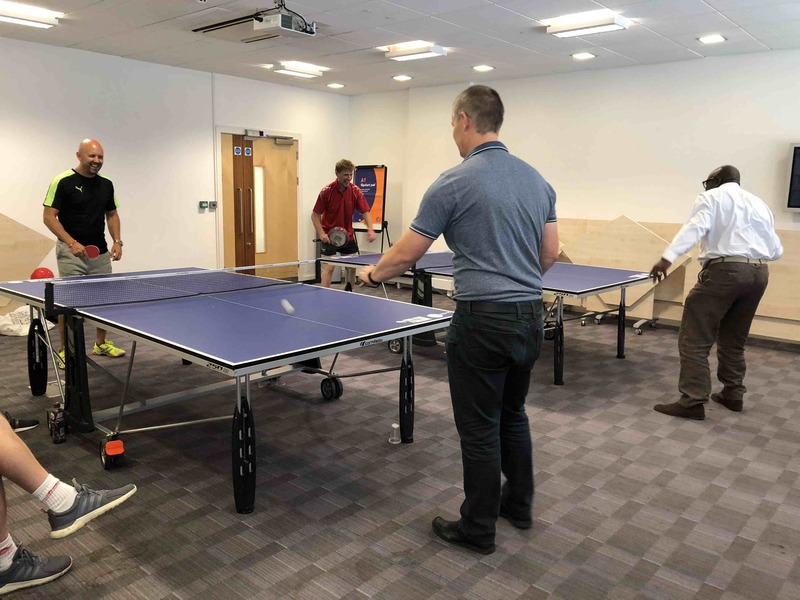 All in all, the day provided suitable encouragement to consider a similar exercise next year, once again as a BTTC / IDTTL joint venture, or even host a Council Championships at the Dome. Watch this space! Britannia members hoof off to France for the weekend for 18 hours of knackering fun. For report click here. At the Dome, Juniors Saturday report here and Seniors Sunday report here. Enjoyable event and organised impeccably as usual. 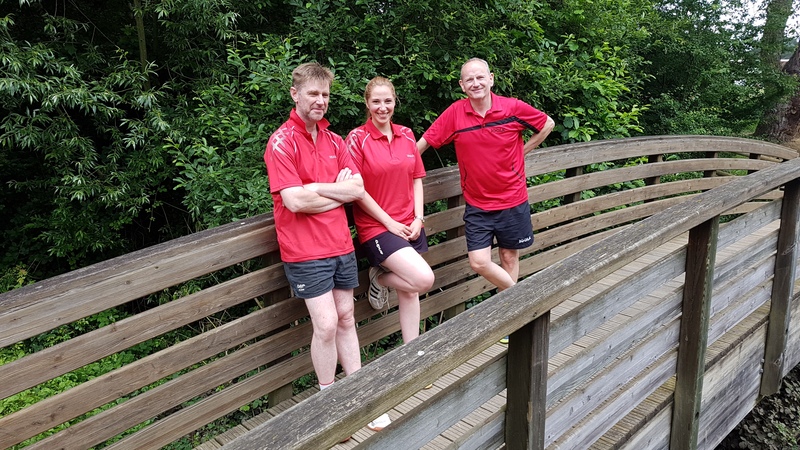 Along with the expected big Britannia names of Richard Hutchinson, Andy Warner, Ryan Collins and Dan Shelley mopping up trophies, there were successes for our European contingent of Sylvain Floury in the Restricted Singles and Miriam Hetzel in the Ladies Doubles. Congratulations all. 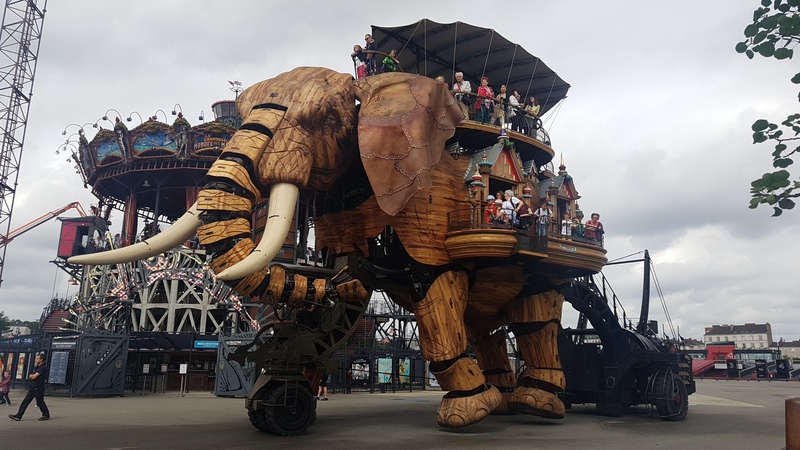 We are pleased to announce that following a meeting at the Dome on 12/1/18 the renewal was rubber-stamped, following almost a year of graft and paperwork (due to new and stringent requirements). Claire Brockwell met with Martin and Colin, joined in the Vet's session, checked out facilities took pictures and copy documents and passed on the good news. Thanks to everyone who contributed, but mainly Mick Talbot for breaking the back of the submissions. Won by Steven Gray of Cambridgeshire, who knocked out Andy Warner on his way to the final against IDTTL 1st div player Gary Young. A stormer from Alex. McKenzie and Lucy also took part but were unfortunate to exit from the early knockout rounds. 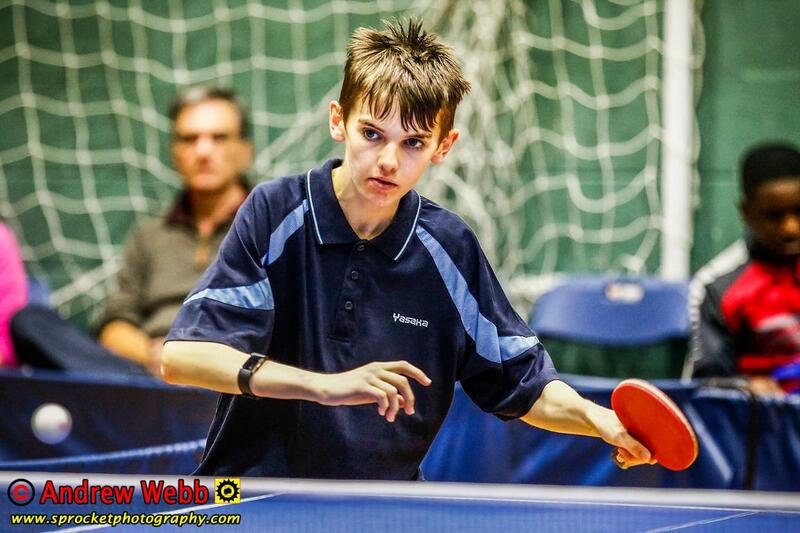 A hard fought event won by Andy Warner, featuring an excellent display from Alex Attew. Full report here. This was cancelled due to lack of uptake - only two entrants. Following the play-offs this week we have the final results, with Sacre Bleu pipping Gladiators for the prestige of overall champions. 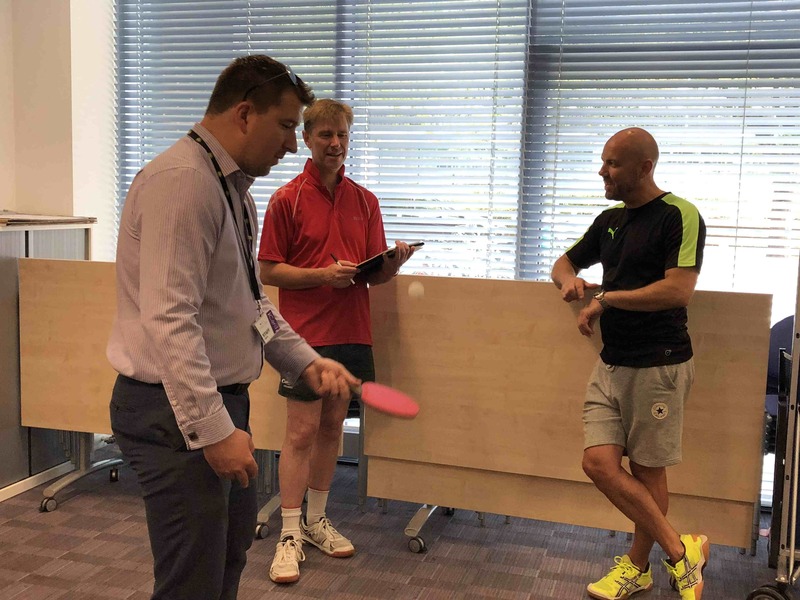 The result hinged on erratic Martin Tomes v formidable Rob Wood, but hitting and hoping triumphed (just) over pimples and patience for a surprise win. Congratulations to all who took part, also to Brian Blagden who expertly marshalled the event as always. It was good to see new players and Juniors taking part in good numbers, adding an element of chaos to the handicapping but variety to the play. FOR THE FINAL POSITIONS click here. 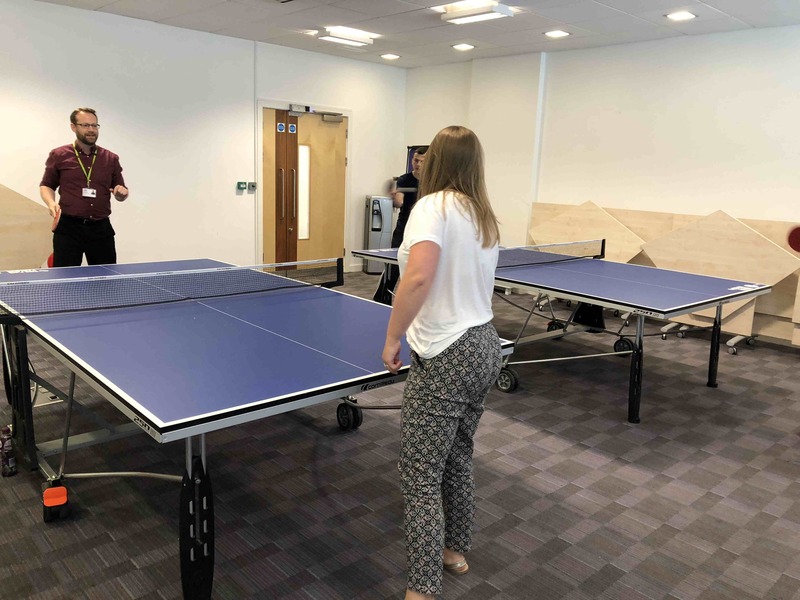 For those of you who like a good table tennis puzzle, we had an interesting scorecard from one of this week's fixtures If you can work out what happened and who won what, please send your answers to Kieran Bean who may offer a small prize. 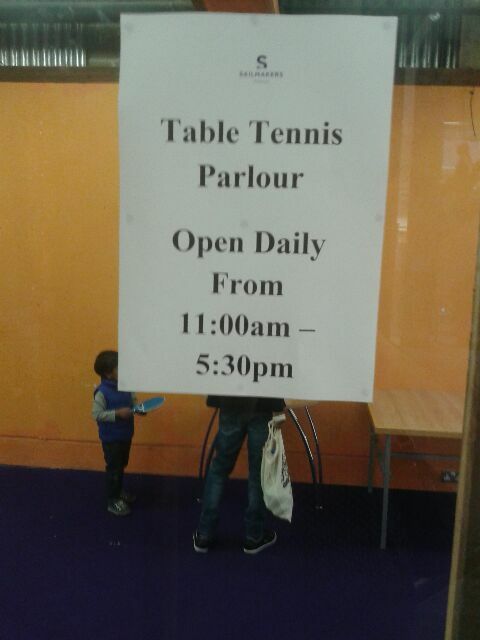 Ping Pong Parlour open in Sailmakers/Tower Ramparts!! 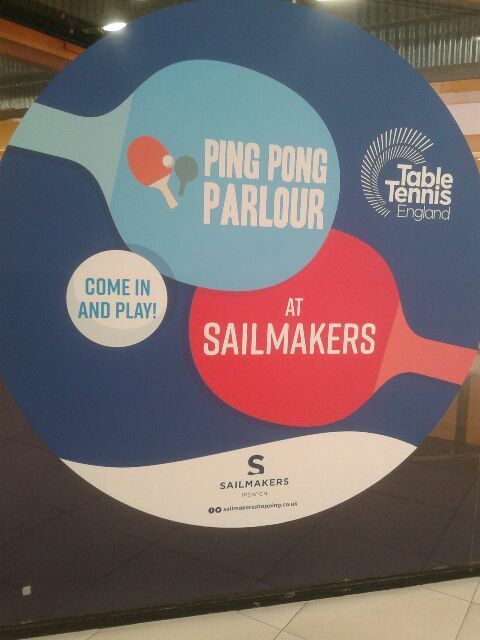 Since Friday 23rd June there is a Ping Pong Parlour in our town, ground floor of Sailmakers (next to Poundland). 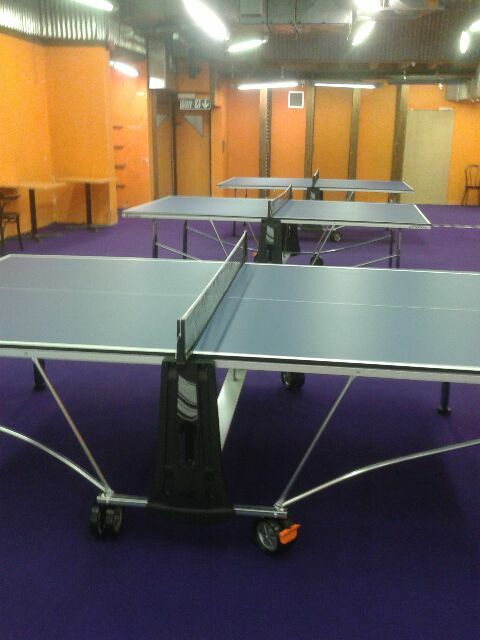 Purple carpets, orange walls, 3 tables, bats and balls, all for passers-by to play free of charge. 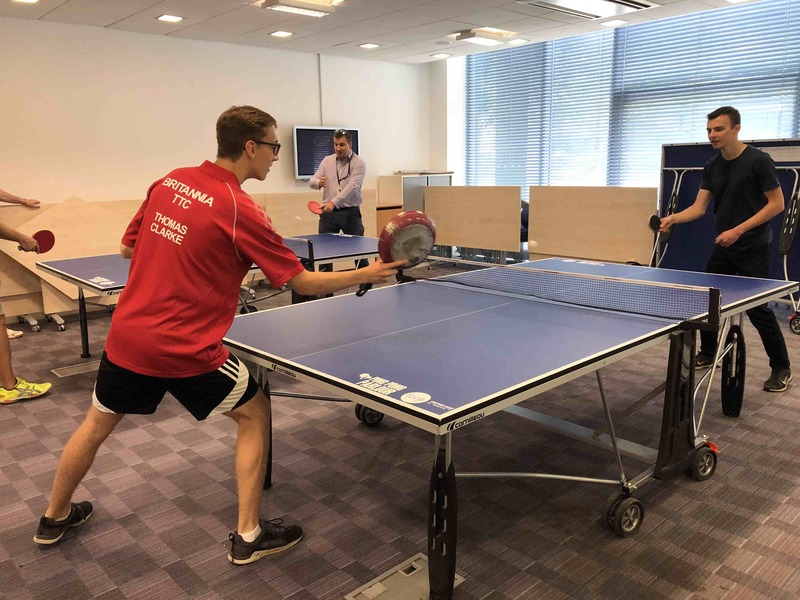 This is one of the pop-up parlours launched by TTE to promote the sport - there for seven weeks to cover National Table Tennis Day on July 12th and beyond. We are curious that TTE don't appear to have let us or IDTTL know about this, as we are in regular contact with them, but at least there was an article in the Star. It's like announcing that the Martians have landed...! This went ahead as planned, all proceeded satidfactorily. Minutes are here, with a printed copy in the Dome. Suppliers of new and used cycles, motorbikes and scooters, based in felixstowe for over 50 years, Alford Bros are proud to support our Junior section. Healthy recreation and transport for active kids and their parents. See more details on the home page, or visit www.alfordbrothersandson.co.uk and support our sponsor! 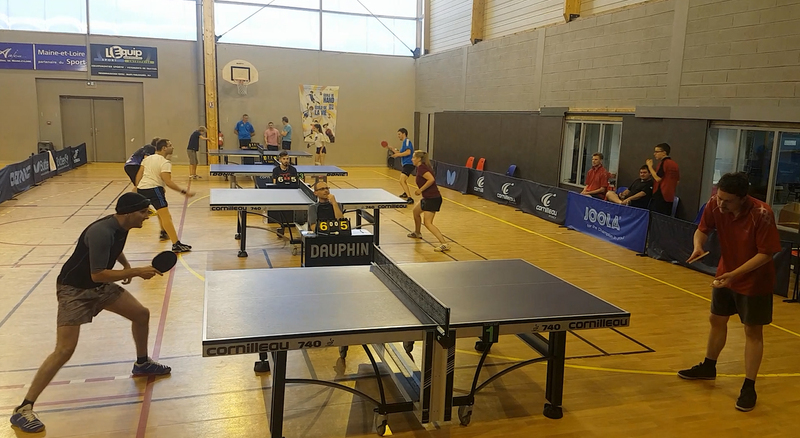 Championships passed off well, Ryan Collins capturing the Open Singles as expected. Results report. These have now finished for this season, to be reviewed in the summer before deciding about next season. Incident on Sunday 27th November - all car park users please note. At approx 8pm last night one of the cars parked in the Dome front car park had a window smashed, and a lighted bottle of petrol or similar chucked inside. Fortunately this set off the car alarm, and club members quickly extinguished the flames, but this could have been significantly more dangerous. 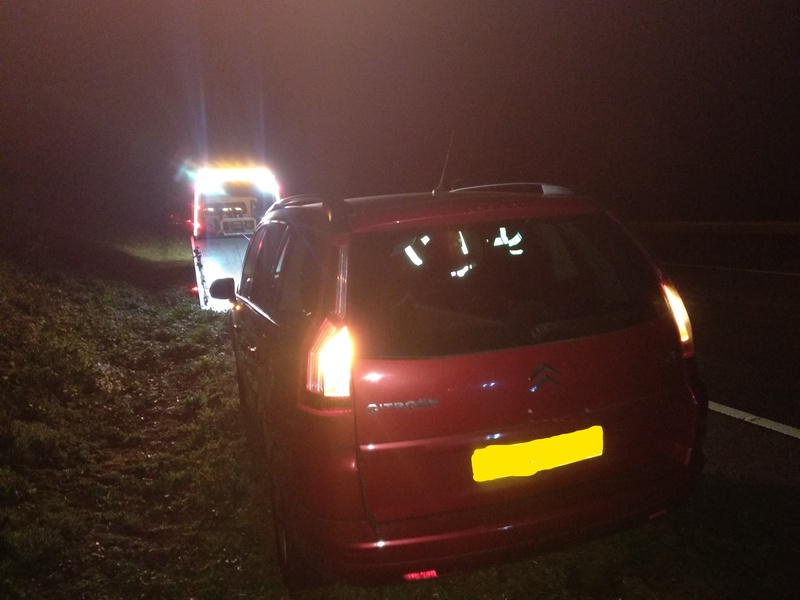 It has been reported to the Police, plus a few of the local residents (who share our concerns for their own vehicles and who will look out as a result). Please can all users of the Dome keep vigilant and challenge anyone or raise immediate help if there is anything suspicious happening. In the meantime the officers of the club are looking at practical options to protect people and property. Another enjoyable event on Sunday Dec 11th. Band A won by Andrew Dosher after a tense encounter with Curtis Beales, and Rex Manning stealing Band B from Martin Tomes - report to follow. Held at the Dome on Sunday 4th December 2016, report here. Lively and engaging, but room for more attendees next time - use it or lose it! 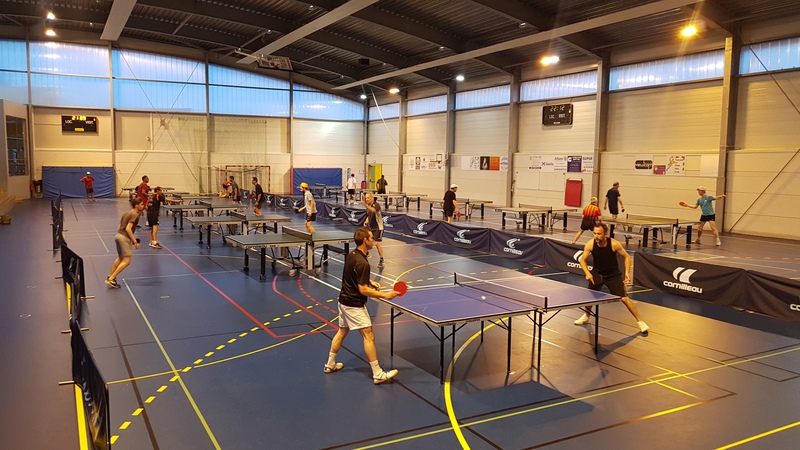 Now completed for 2016, the league was its usual mixture of sweaty fun and nail-biting tight games due to the handicaps. Team of the summer Greatest Show On Earth finished 3rd in the end, having only lost to some Donkeys but sweeping all else before them. 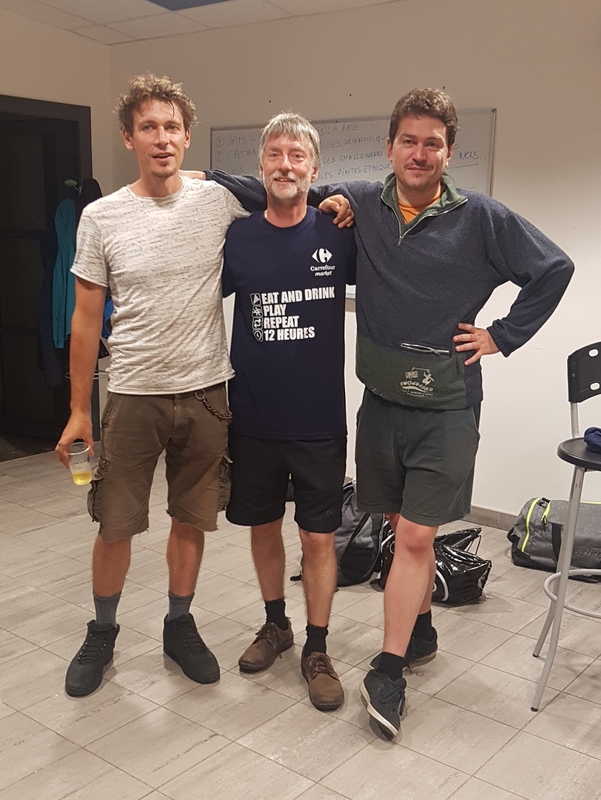 Expertly organised by Sean, with Sylvain, Martin and "Super" Les completing the line up, they may be back to entertain the league again next year. 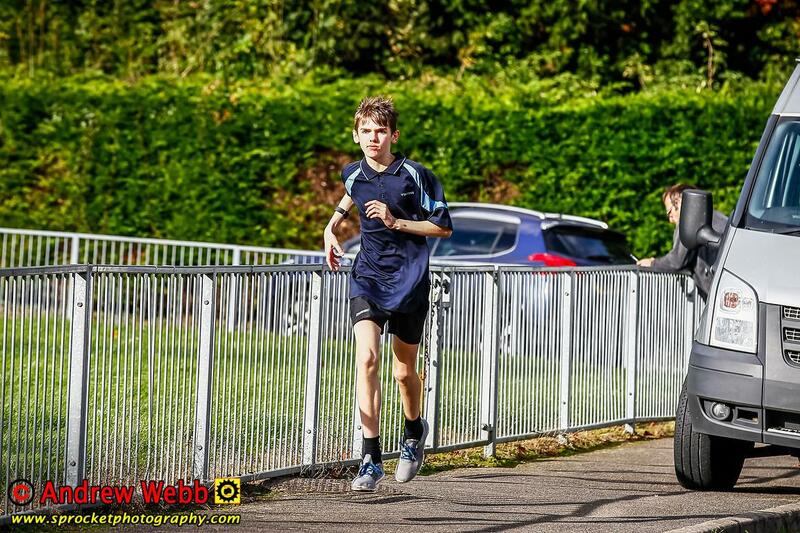 There were a few other tems taking part of course, all details in Brian Blagden's Season Report. Held on Thurs 28th April at the Dome. For minutes click here. Sat 16th and Sun 17th April at the Dome. 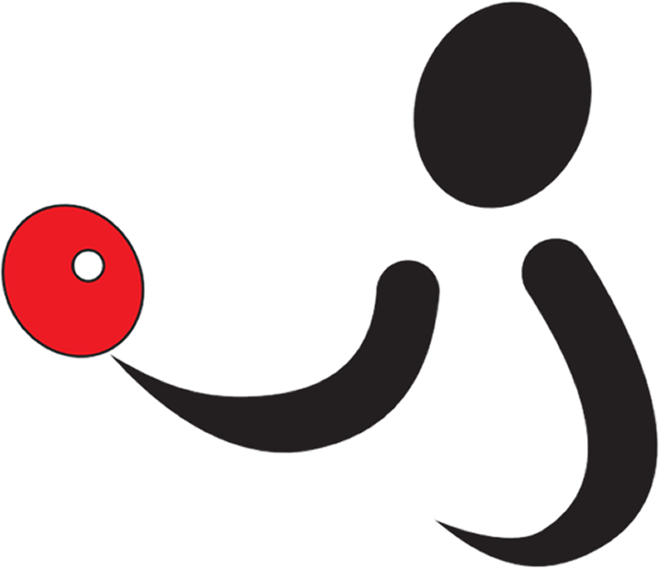 Saturday saw all Juior events with results report here and all Senior events were on Sunday including a fun Hard Bat singles event at the end of the day. Click here for Seniors report and results summary. Numbers down this year but enjoyed by all nonetheless. Being held at Stowupland High School, Sunday 20th March, starting 09:15. Entry forms are on the table in the Dome, entry by Fri 11th March to Andrew Dosher. Being held at the Ipswich Corn Exchange on the weekend of 13th and 14th February 2016. Entry forms and details are in the League Handbook, or you can enter through www.idttl.net/champsentry. ENTRY IS EXTENDED TO SAT 16th JAN 1pm by handbook postcard or website only, and is free of charge for as many events as you can fit in.